Here is another one of my favorite quotes from General Conference April 2012. I learned so much and I am so thankful to be able to listen to Conference in the comfort of my own home in my PJ’s 🙂 When I was little, we had to go to the church and watch conference by satellite. I grew up in Rapid City South Dakota. I can’t imagine having to try and get my kids to sit still and listen for 8 hours. I am glad that we can be at home and they can listen and still be kids. 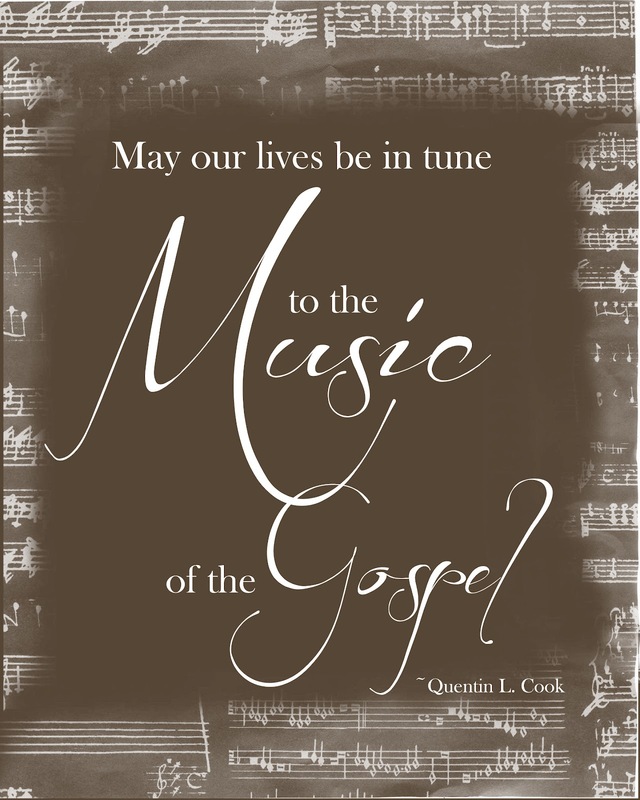 I think this quote would be PERFECT in a music room in your house. Maybe framed on your piano, I don’t know, just a thought ;). Please share on PINTEREST and FACEBOOK! Love ya! Click HERE to download the blue version. Click HERE to download the brown version. Click HERE to download the dusty rose version. Click HERE to download the red version.